“The monthly average of GST revenue during FY19 is Rs 98,114 crore, which is 9.2 per cent higher than 2017-18. These figures indicate that the revenue growth has been picking up in recent months, despite various rate rationalisation measures,” the finance ministry said in a statement on Monday. The collection from cess was Rs 8,286 crore. “The major reasons for the growth could be reconciliations by businesses of outward and inward supplies, intelligent data analytics, related tax leakage detections, and consequent GST payment by businesses,” said Abhishek Jain, tax partner, EY. The Interim Budget had earmarked Rs 51,735 crore for the compensation cess fund. Adding Rs 15,000 crore accrued from the previous fiscal year, the transfer to states translates to Rs 66,735 crore in FY19. That leaves a balance of Rs 38,625 crore in the cess account, according to this calculation. 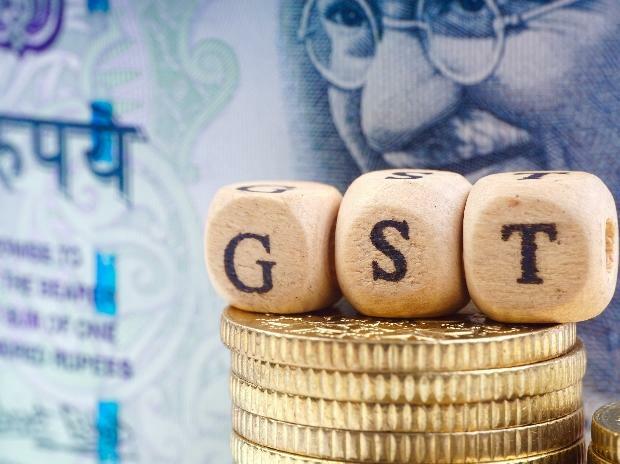 The government amended the GST Act last fiscal, allowing 50 per cent of the unutilised compensation amount to be transferred to the consolidated fund at any time in any year till the end of the five-year period, when the fund lapses. “The GST collection figure looks optimistic but there are reports that payments have been made in cash without utilising credits and this could be one important factor. An analysis of the pending refunds should be done to highlight the overall number. Notwithstanding this, the number looks good due to better compliance and various quarterly tax payments”, said Abhishek A Rastogi, partner at Khaitan & Co. The GST Council in December decided to cut tax rates on 23 goods and services, including movie tickets, television and monitor screens, and power banks, besides exempting frozen and preserved vegetables from the indirect tax. 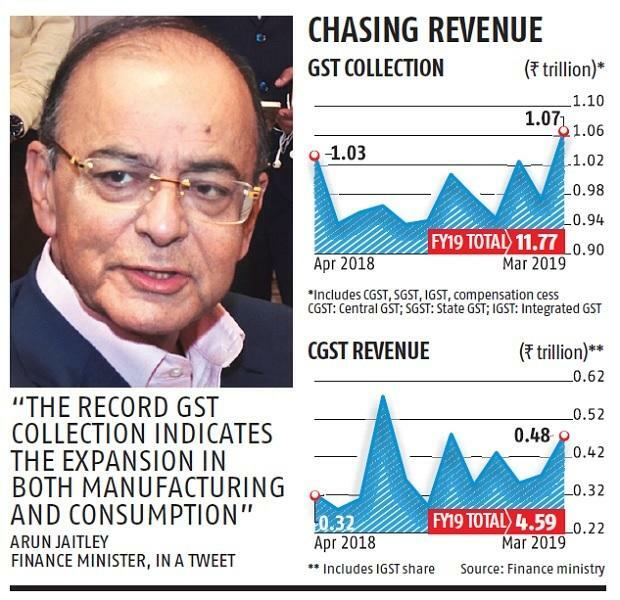 The government is targeting a CGST collection of Rs 6.1 trillion in FY20, a 21 per cent increase over the revised target of FY19. “Achieving this steep target would call for substantial increase in tax base by plugging the existing leakages, as room for increase in tax rate seems limited,” said Pratik Jain, partner and leader indirect tax, PwC India. Devendra Kumar Pant, chief economist, India Ratings & Research, concurred that unless the pace of growth of GST collections as observed in 3QFY19 and 4QFY19 is sustained and accelerated, it would be difficult to achieve FY20 budgeted GST collections.